This giveaway is now closed! The winner is Kim ([email protected]…)! With a little girl who is prone to developing a croupy cough whenever she gets sick, we’re big believers in the power of a humidifier! In the past we’ve used warm mist humidifiers, but most doctors actually recommend cool mist humidifiers for kids because there’s less worry about babies or toddlers getting burned and they’re easier to keep clean (since the warm humid air can promote the growth of bacteria). The new Vicks Starry Night Humidifier not only releases cool moisture into the air, providing temporary relief from cold and cough symptoms but also offers a built-in “starry night” projector to help sick little ones fall asleep. The independent projector can be easily turned on and off, making it ideal for all ages and energy efficient. A cool mist humidifier can help relieving nasal and chest congestion, and — according to new research — homes kept at 40-60% relative humidity can actually help reduce the survival of the flu virus on surfaces and in the air! After 9 years of motherhood, I’ve gotten pretty good at diagnosing a fever just with a touch, but the type-A part of me always wants an exact number to go with that touch. I’ve always been jealous of our doctor’s forehead thermometer, which gives them a reading in just a few seconds and without the trauma of holding the thermometer under your tongue or arm (because when you’re two years old and sick, everything is traumatic!). Now, that technology is available at home from the most trusted brand in thermometry: the Braun Forehead Thermometer. Designed for the whole family and gentle enough to be used on a sleeping infant, the Braun Forehead Thermometer takes the confusion, stress and struggle out of temperature taking, offering a color-coded fever guidance system, a large easy-to-read screen, and backlight for middle-of-the-night readings. Basically, the forehead thermometer measures the temperature of the skin over the temporal artery, a major artery of the head which is connected to the heart, offers constant blood flow, and is positioned close enough to the skin to provide an accurate temperature measurement. Infrared technology takes multiple readings while you swipe, processing them through a unique algorithm, giving you an accurate measurement. It took us just a few tries on our healthy kids to figure out the best way to get an accurate reading, and I’m thankful to have this tool in my Dr. Mom kit! 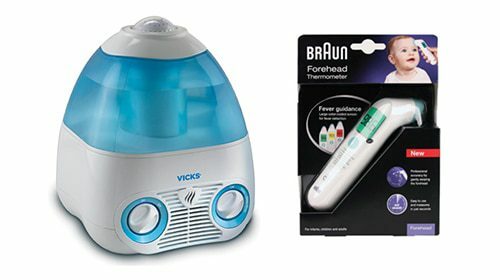 This week, Vicks & Braun are giving one lucky Life Your Way reader a Starry Night Humidifier & Forehead Thermometer! The giveaway ends at 11:59 p.m. ET on 11/1. The winner will be selected randomly and notified by email, and this post will be updated with their name as well. Unfortunately, due to the international laws governing sweepstakes and lotteries, we’re only able to offer these giveaways to U.S. residents 18 years and older. 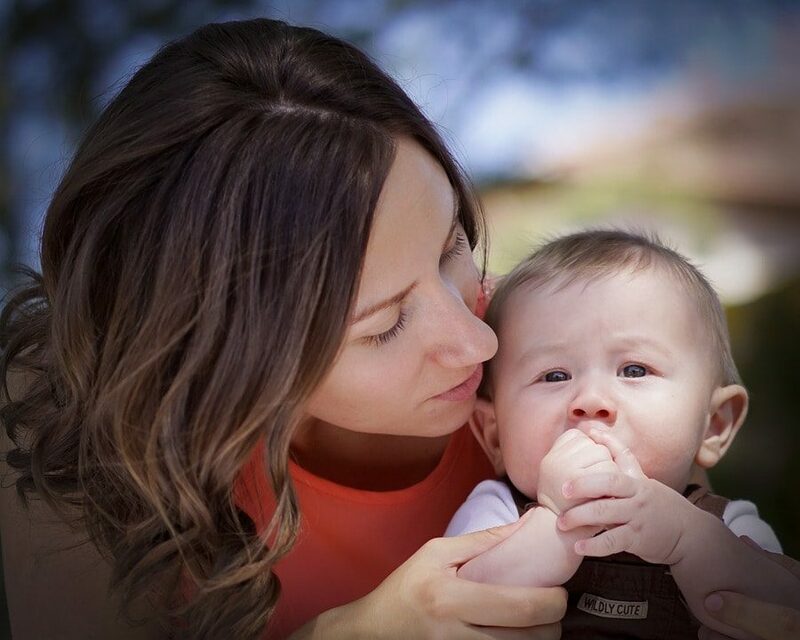 Join Me at the #1MillionMeals Twitter Party to Help Fight Child Hunger!